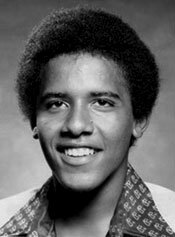 Was Obama Born in the USA? Q: Has a “smoking gun” been found to prove Obama was not born a U.S. citizen? Did he attend Occidental College on a scholarship for foreign students? A: This chain e-mail is a transparent April Fools’ Day hoax. It fabricates an AP news story about an nonexistent group, and makes false claims about Obama and the Fulbright program. I recently received this and wanted to know if it is accurate, and what the implications are. OBAMA – SMOKING GUN FINALLY FOUND? The claim is that Obama received a Fulbright scholarship for foreign students, proving that he is not a U.S. citizen and therefore not eligible to be president. Supposedly this was reported by The Associated Press. But the claim is false and the story is a hoax. “Americans for Freedom of Information” May 6: We are the Americans for Freedom of Information. We are a fictitious group of individuals; i.e. we do not exist. And yet, for a nonexistent organization we wield great power and knowledge! O Yea, Verily. OK, actually, not verily at all. Anti-verily, as a matter of an utter lack of fact. Update: On May 11 an “Americans for Freedom of Information” Web site was registered to a woman in Hilton, N.Y. named Debra J.M. Smith. This site of course did not exist when on date of the fake AP story, and Smith told us she is not responsible for the claims it makes. Not all versions of this e-mail carry the telltale April 1 dateline, however. And more than a month after it first appeared we continue to get questions about whether it is true, and to see postings on conservative blogs that seem to accept its claims as fact. But not only is the message a hoax, its key claims are as false as they can be. Among the few claims that are true in this message is that from fall 1979 through spring 1981 Obama attended Occidental College, a small (currently 1,825 students, according to its Web site) school in Los Angeles. After that he transferred to Columbia University in New York City to finish his undergraduate education. The photo here is from his application to Occidental. It’s also true that Obama was on scholarship while at Occidental, according to articles in the Los Angeles Times and Boston Globe. No Fulbright: Contrary to what this e-mail claims, Obama’s scholarship wasn’t a Fulbright. It’s true that many foreign students come to the U.S. under the Fulbright program, sponsored by the United States Department of State’s Bureau of Educational and Cultural Affairs. But Fulbrights for foreign students are primarily intended for graduate students studying for masters’ degrees or Ph.D. degrees, not for college freshmen and sophomores. Occidental spokesman Tranquada: To date, all of the litigation filed regarding President Obama’s student records at Occidental has been rejected by the courts. Occidental has not released his transcripts or his student file. Furthermore there’s no trace of the supposed Daily Mail story headlined “Obama Eligibility Questioned,” either on the newspaper’s Web site or in the Nexis database of stories published by the paper. The claim that the Supreme Court recently agreed to hear a case brought by Leo Donofrio is also false; the high court in fact refused to grant a hearing in that case back on Dec. 8, 2008. There is a group called the “United States Justice Foundation,” and it does list a Gary Kreep as its executive director. But we find no report of any study of Obama’s legal spending on its Web site, or any mention of turning information over to Attorney General Eric Holder. We’ve asked Kreep about this in an e-mail message, and will update this item should we receive a reply. Previous StoryWhat’s in a Number?